Quirky is becoming a much different kind of Quirky. Put bluntly, the democratic design pioneer needs money and is radically changing its direction. Part of that new direction involves no longer making or selling Quirky products, but Quirky—and its community—will still help giant corporations like GE design products. It sort of sounds like the dream is over. We’ve always loved Quirky because it enabled regular old humans with innovative minds to turn their ideas into actual, useful inventions that Quirky would make and sell. Then, we were excited when Quirky decided to take this philosophy and double down on smartening up your home. Then, last year, Quirky got bold and launched a home automation company called Wink. This Quirky spin-off maintained the noble vision of offering useful inventions to regular people, while carrying with it a fun DIY message that made it seem like anybody could build their own smart home. There was only one problem: Wink didn’t work so well. I spent months testing Wink products with the highest hopes—Quirky stuff was always awesome!—only to end up disappointed at every point of failure. And I arrived at those points often. It was all very confusing, especially since Wink was somehow bankrolled by GE which was reportedly considering letting Quirky take over its home appliance business. In 2013, the year before the big Wink rollout, GE even invested $30 million in Quirky as part of the startup’s larger $79 million fundraising effort. Not long thereafter, Quirky quietly started looking for a new buyer for Wink or at least a new round of investment in the home automation company. This was around the time that a botched security update bricked Wink hubs, causing about 10-percent of users—this blogger included—to require a replacement. Unsurprisingly, this threw a wrench in the effort to sell Wink to a new owner. “There’s a point where it doesn’t make sense for one unprofitable startup to keep funding another unprofitable startup,” Quirky CEO Ben Kaufman told Fortune recently. And apparently at that point, you throw out the original and inevitably laudable goal of helping people turn their ideas into inventions into products for the world to enjoy. 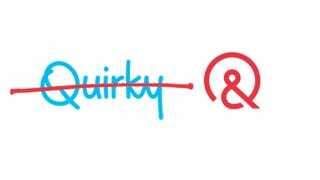 Quirky now looks like it’s trying to be a design firm that uses its community’s ideas to inspire new products that will be built by massive companies like GE, Harman, and Mattel. That’s not necessarily a bad thing. It just seems pretty far from Quirky we’ve known and loved. So say goodbye to Quirky products, as we’ve always known them. We loved those weird but useful things that our friends invented. But now those friends are stuck shoveling their good ideas to boost the profits of giant corporations. It’s the real American dream, unfortunately.